The magician shows both his hands to the audience quite empty, and then a Coin Bucket will be displayed to them empty as well. After that,he starts catching coins from the air,here,there,and everywhere. He is even able to make coins appear from the spectator's ears, head, pocket. With just some practice,you can do the procedures easily. It is a very interesting and strange item that absorbs a lot of spectators. As you know, the most important part of every Coin Bucket is the clear sound of the coins upon dropping of them inside the bucket. Thus,the sound can easily be heard by the audience in all halls and from a far distance. 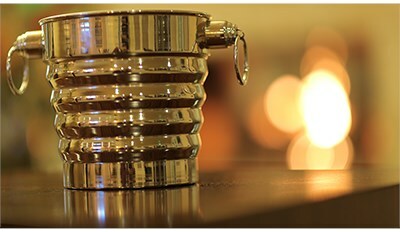 The Bucket is manufactured in metal and covered with highly polished chrome.